Brent Ozar recently published the feedback he got on his abstract submissions for PASS Summit 2016 and, as he often does, started a trend which some others followed. I think the feedback is interesting and useful for speakers that plan to improve their own submissions for the years to come, so I decided I will publish my feedback as well. I did not get selected and, obviously, I would be happier if I got selected instead. This doesn’t mean I have problems with the selection process or the reviewers that implemented it. Instead I’m grateful for the enormous amount of work they did for the community, so a huge thank you goes to the committee. Every year I see people publicly complain about the selection process or getting mad about being rejected. Folks, get over it: organizers have the right to choose whichever sessions they find more suitable for the Summit. It’s their responsibility to put together the best possible agenda and that doesn’t necessarily include your session. Not Accepted: Higher rated session selected. Abstract: Extended Events provide deep insight into SQL Server’s behavior and allow us to gather information not available by other means. However, compared to other technologies such as SQL Trace and Event Notifications, a way to react to the events as soon as they happen seems to be lacking. In this session we will see how the Extended Events streaming API can be used to process events in a near real-time fashion. We will demonstrate how this technology enables new possibilities to solve real world problems, such as capturing and notifying deadlocks or blocking sessions. Prerequisites: Extended Events basics, C# basics, Powershell basics. The amount of coding required is in line with the average DBA skills. Goal2: Introduce the Extended Events streaming API and demonstrate how it can be used to process the events as soon as they occur, without shredding XML. Goal3: Demonstrate how the Extended Events streaming API can be used to solve real world problems, such as building a monitoring and alerting solution for deadlocks and blocked sessions. Needs more specifics in abstract. S : 5 Prereqs are a little steep, but given the outcome – justified, and will interest people. Level looks ok for the prereqs and goals. Topic is ok. Abstract is good overall. Only issue is the second sentence reads a little oddly. Abstract: Well written abstract with strong supportive goals. Topic: Great topic! Subjective: This sounds like a very interesting session. Taking xEvents to the next level. I would attend this session. I think it will be a large draw! “Needs more specifics in abstract”. What kind of specifics is needed in the abstract? A clue would be helpful here. A/T/S: what do these letters stand for? I suppose they mean Abstract, Topic, Subjective. What do the numbers stand for? A mark maybe? Again, no explanation. “The second sentence reads a little oddly”. I really don’t understand grammar or language comments. It’s not a conference on the English language and non-native speakers are already disadvantaged enough without being constantly reminded that their language skills can’t compare to Shakespeare’s. Speakers names are stripped away from the sessions, so the reviewers may not be aware that the session comes from a foreigner. If the topic is good and fits what the organizers are looking for, minor grammar/language mistakes can be fixed. BTW, one of the reviewers told me that when multiple sessions are on a tie, language is the tie breaker. Questionable, but understandable. The feedback itself is not very useful for improving this submission for next year. Not Accepted: Other sessions selected based on building a balanced program for track coverage, speaker coverage, topic coverage, and session rating. Abstract: Let’s face it: Best Practices are too many to really know them all and choose which ones should be applied first. Does your telephone ring all the time? Do your users ask for that “quick report” that instead takes ages and keeps changing every time you think it’s done? Have you ever thought that in dire times avoiding Worst Practices could be a good starting point and you can leave fine tuning for a better future? If the answer is “yes”, then this session is for you: we will discover together how not to torture a SQL Server instance and we will see how to avoid making choices that in the long run could turn out to be not as smart as they looked initially. Prerequisites: Basic database design skills, basic development concepts, basic database administration skills. Goal1: Demonstrate how bad Database Design decisions (irresponsible denormalization, EAV, bad data types, wrong or missing primary keys) can haunt a project through its whole lifetime. 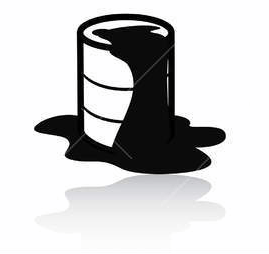 Goal2: Illustrate how bad development practices (SQL Injection, RBAR, poor or no testing) can hurt performance, put security at risk and pose serious threats to the success of our projects. Goal3: Enumerate and explain the worst installation and administration practices for SQL Server instances, offering the correct alternatives. Topics covered: HW choice, OS policies, security, ongoing administration, monitoring and tuning. The outline does not seem to clearly describe the contents of the presentation. The level of detail seems low – more detail might help attendees decide on value of attending. The title may not attract the appropriate attendees – it seems a little vague. Abstract: Abstract is a little muddled. Goals are clearly laid out. 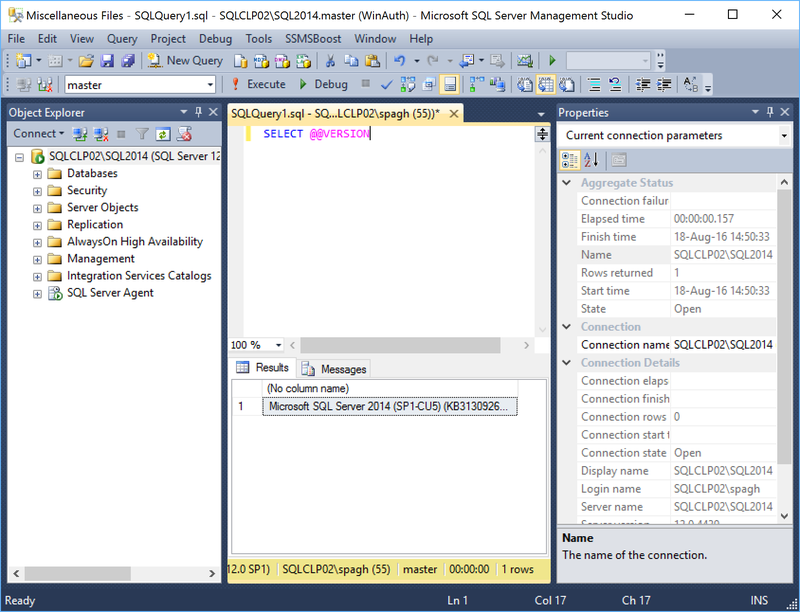 Goals seem to contain the entire gamut of SQL Server. Perhaps a more focused area of SQL Server would help. Subjective: Could be a fun session. “Level too low”. Level is intentionally low: it’s meant as an introductory session. What to avoid is exactly that: an introductory topic for beginners. Have you ever noticed that basic introductory sessions pack the room? Should we take it as a clue that attendees want 100-level sessions? Apparently not. “The outline does not seem to clearly describe the contents”. True, I agree. Next time I submit this session I will include in the abstract more details about the contents. It seems that including those details in the goals is not enough. “Goals seem to contain the entire gamut of SQL Server”. True. I don’t see how this is a bad thing for an introductory session. This feedback is much more useful than the other ones. Abstract: The key to optimizing SQL Server performance is to establish a performance baseline and thoroughly analyze the workload on the server. Collecting a baseline is not enough: it is important to analyze the workload in order to intervene effectively exactly where performance issues lie. In this session we will describe the techniques and tools to analyze SQL Server performance and we will introduce benchmarking techniques that allow us to rate our tuning efforts. We will also introduce some tools included in SQL Server 2014, such as the Distributed Replay, and several third-party applications that come at little or no cost, but provide the highest benefit. Prerequisites: Basic SQL Server performance tuning techniques (DMVs, Performance Counters), basic monitoring techniques (SQL Trace, Extended Events). Goal1: Introduce SQL Server performance analysis tools (DMVs, Performance Counters, Data Collector) and demonstrate how to use them to collect a baseline. Goal2: Introduce workload analysis techniques, using SQL Server and third party tools, including cache analysis queries, RML Utilities and ClearTrace. Goal3: Demonstrate benchmarking techniques which will allow us to compare performance before and after applying tuning measures, using RML utilities, Distributed Replay and Qure Analyzer. A : 5 The abstract clearly spells out the need for baseling, and benchmarking, to identify performance workload. S : 5 The prereqs are not steep, and the session offers a lot to replay prod workload on lower envs. Topic is a good and relevant choice that appeals to a distinct attendee pool. Level appears good for the prereqs and goals. Abstract is ok. Some word choices make the sentences difficult to follow (ie. ‘intervene effectively exactly’). Abstract: Well written abstract with strong, supportive goals. Enough information is provided from which an attendee can make an informed decision on whether or not to attend this session. Topic: Excellent topic. Likely a 200 level session, not 300. Subjective: Great session which should draw in attendees. This is a skill every database professional needs. “Needs more specifics in abstract” and “enough information is provided” in the same feedback. Not very helpful. “Some word choices make the sentences difficult to follow”. I’ve already said what I think about language comments. Reading the comments, you would think it made the cut, but it didn’t. What can I say? Competition is tough: there are lots of great speakers with lots of great sessions. “Likely a 200 level session, not 300”. I disagree: I’ve never seen anyone less than experienced fiddling with RML Utilities or distributed replay. The comments I received this time are less helpful than the ones I got last year on the same exact sessions. Yep: I submitted the same sessions last year and I got very useful comments that I used to improve my submissions this year. Unfortunately, it will be hard to improve next year. The level discussion is completely subjective. I was under the impression that here in Europe we tend to rate sessions lower than Americans do, so a 200 session in Europe could easily be a 300 session in USA. Maybe my impression was wrong. However, it’s interesting to see how the session that I proposed with level 100 was deemed to be underrated and the one that I proposed with level 300 was deemed to be overrated. Levels are part of the session: the speaker chooses which level to go for and I would have a really hard time as a reviewer arguing against that decision without having seen the session. Regarding the reason for rejection, I am not completely sure it can be helpful for improving next year’s submissions. For instance, my session on Extended Events got “Higher rated session selected” as the reason for rejection, but looking at the schedule there is no other session on Extended Events (which is quite surprising) and no other session on monitoring (which is even more surprising and maybe a bit disappointing). This means that the higher rated session does not have to be on the same topic, which makes the other reason for rejection (Other sessions selected based on building a balanced program for track coverage, speaker coverage, topic coverage, and session rating) difficult to decipher. The reviewers are evaluating your abstract, not your session. All your efforts should be pushed towards perfecting your abstract. Craft it as your masterpiece. Start well in advance, don’t wait for the last minute. Looking at the selection process from the outside it’s really hard to tell how it works, so submitting multiple abstracts can increase your chances of scoring a session. Maybe that session that you don’t like is exactly what the committee is looking for. Again, you’re selling only the abstract and if you get selected you have several months to improve the session. There’s a review service offered by PASS. Use it. There is no guarantee that it is going to be the best feedback you will get, but it’s some feedback at least. You have friends in your #sqlfamily: ask for advice. If you don’t trust the feedback that you get from the PASS review service, trust your friends. If you’re submitting for PASS Summit, chances are that you already have spoken at SQLSaturdays or other community events (if not, maybe you should think twice before submitting: PASS Summit is not for inexperienced speakers). In this case, you got in touch with the community leaders in your chapter, who probably keep scoring sessions at Summit year after year: ask them to review your sessions. I am sure that they will have precious suggestions for you. Sure, your English is great. Sure, the reviewers have something to say about native speakers’ English as well. Sure, language should not be the focus of the reviewers. However, see lesson learned #1. Being selected for speaking at the PASS Summit is damn hard. I hope that sharing my feedback will help you improving your submission next year. I also hope that you will find my advice useful, if you dare accepting advice from somebody who never managed to score a session himself. 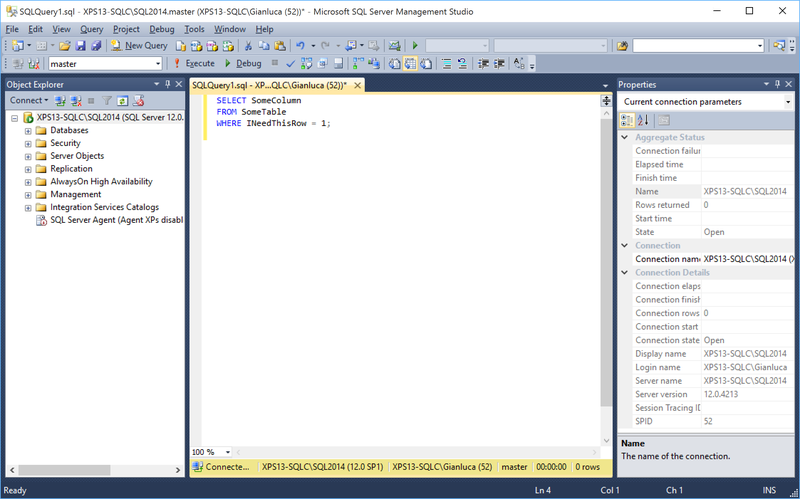 This will be no surprise to those who have been working with SQL Server for a long time, but it can be puzzling at first and actually I was a bit confused myself when I stumbled upon this behavior for the first time. 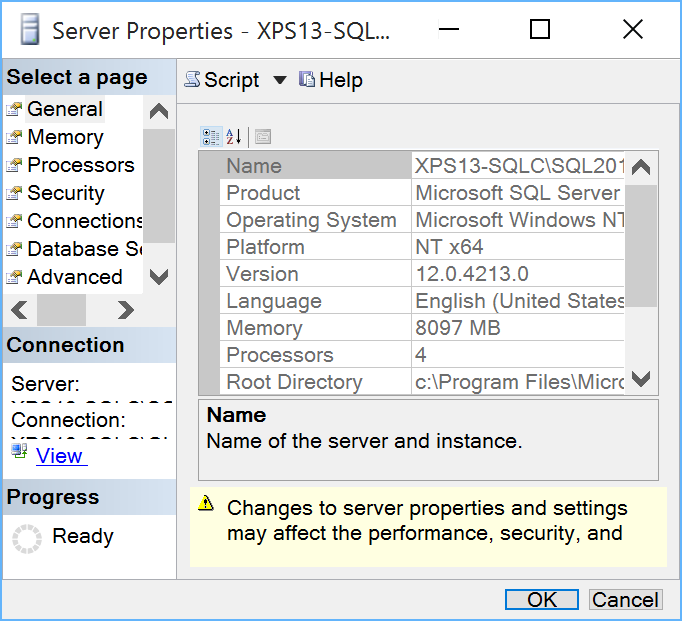 SQL Server treats windows users in a special way, a way that could lead us to some interesting observations. Now that everything is set up, we can start our investigation. It is interesting to note that the default schema for the user, if you don’t specify one, will be “dbo”. 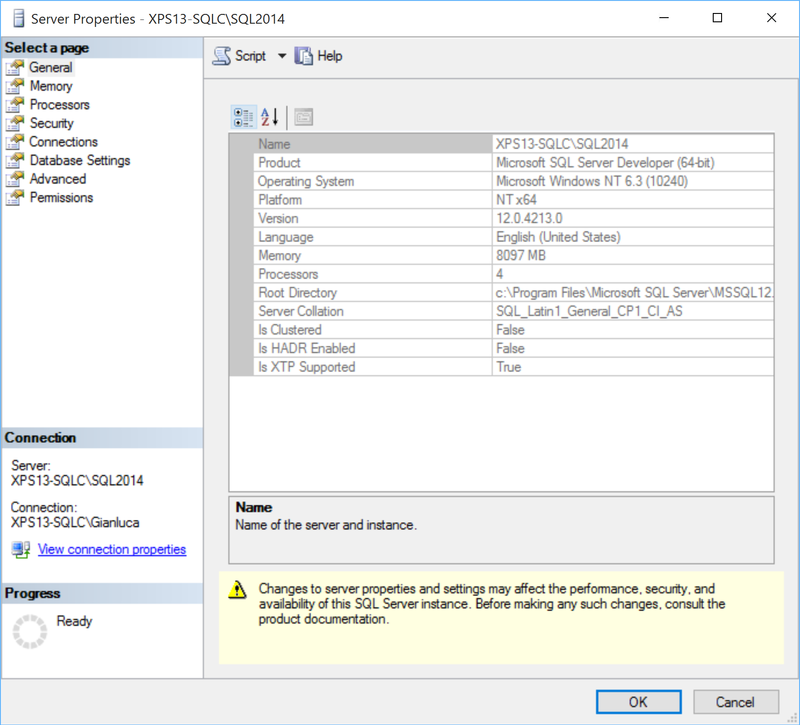 At this point, the Windows user cannot log in to SQL Server, but the user can be impersonated to perform operations against the databases, in the same exact way as with any other user without login. If we try to do the same thing with a Windows group, we get even more interesting findings. Again, we did not have to specify an existing login name and we did not have to add “WITHOUT LOGIN”. Looking at the user data in sys.database_principals and sys.logins shows again that no login is associated with this user, but this time we can see that no default schema was set. As common sense suggests, we cannot impersonate a database user that corresponds to a Windows group. If we try that, we are met with an error message. Now the fun begins. Turns out that you can impersonate a Windows user that is not a user in the database, as long as the Windows user is a member of the group. Wait, what? Who created that user? Looks like SQL Server creates the database user automatically when it needs to impersonate one of the group members that are not created in the database yet. Another interesting fact is that the default schema of the newly created user matches the user name. If we don’t like that, we can change it afterwards, but wouldn’t it be cool if we could simply change that on the Windows group and let it propagate to the users created during this process? Let’s try and see if this is possible. This time the view was placed in the “dbo” schema as expected (remember? We set the default schema on the group), but the really weird thing is that no new user was added. Why? I couldn’t find any answer in the documentation. 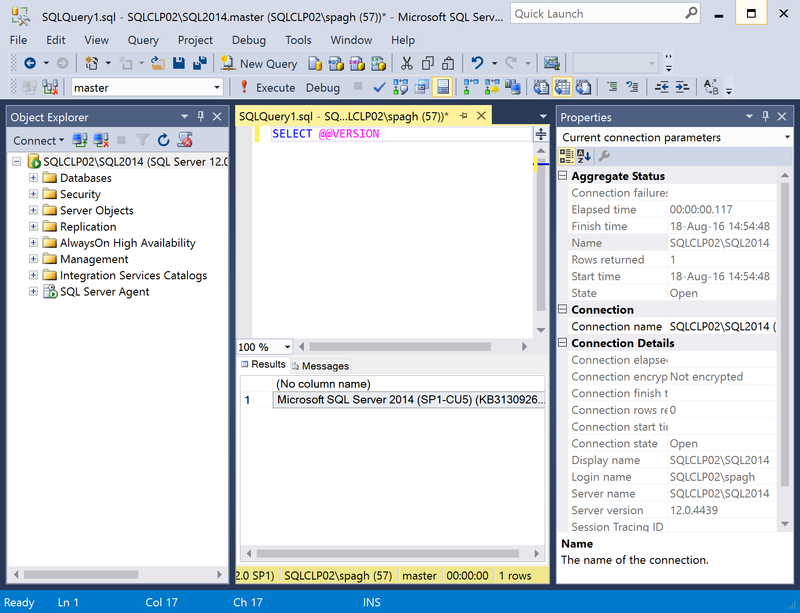 It is even more puzzling that SQL Server was able to impersonate a user that is not present at all. 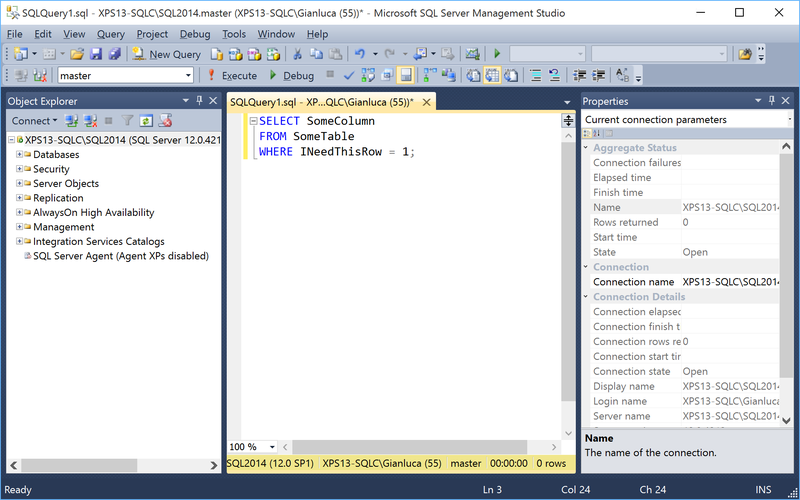 Nevertheless, as far as I can remember it has always been like this, at least starting from SQL Server 2005. Again, SQL Server creates a new user and assigns it a default schema with the same name. The view was placed in the user’s default schema. Now let’s revert to a clean database and drop some objects. In order to have a complete picture, we can now check what happens if we create a login for the windows user. Again, SQL Server creates a new database user for this login and a schema with the same name. The view gets added to the user’s default schema. What is interesting to note is that we could access the database by logging in as the Windows user, without having an explicit permission path to allow it. Only after accessing the database an explicit database user is created. This means that this behavior has to be taken into account when we’re querying permissions on the databases to see who can access what. In order to know whether a windows user is member of a windows group, we can use the system function IS_MEMBER(). To test multiple logins, we need to impersonate them one at a time, which is difficult to achieve in scripts. There is no way to test database users: impersonating the database user will not be enough to test the windows group membership for the windows user associated to the database user. This is extremely tricky and I was bitten by this behavior recently, wasting countless hours trying to figure out what was happening. Imagine that a developer creates a database in the development environment, while logged in with Windows authentication. This is a very common scenario, both if you’re using a centralized development server or developers’ workstations. When development is complete, the developer hands us a database backup to restore in production, because the database already contains some data (built-in values in lookup tables or something else required by the application). We restore the database in production, where the developer does not have a login, confident that he will be unable to access it. Well, that’s not exactly what is going to happen. -- The user creates a database. It may happen in development, right? -- the same situation by dropping some objects. Let's drop the database. -- but the main point is that the login of the database owner is not present). -- Who's the owner of the database? You, the DBA. Looking good. 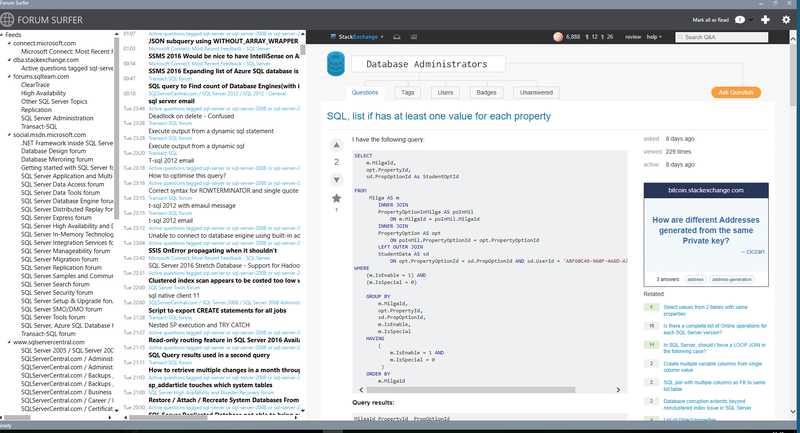 Everything is set up the way it should: the database is restored to production, the DBA is the database owner, the developer has no access to the database and everybody is happy. Now imagine that a new totally unrelated database gets added to the production instance, a database where everybody in the company must have read-only access. We create a new login for a Windows group that includes all authorized logins and we grant access to the new database. -- I will use tempdb here, but it could be any other database. WTF? A windows user that has no matching SQL Server login could create a view in a database where no matching user exists? How could that happen? Weird. The login of the Windows user seems to be the database owner, but we checked upon restore that the DBA is the database owner. Moreover, there is no explicit login in the server for this Windows user and the only Windows group that contains this user does not have access at all to the database: how is this possible? We got access to the database thanks to a windows group added to grant access to a totally unrelated database. The group has no permissions whatsoever on the database, but it allows its members to log in: the actual permissions on the database are granted through the SID of the dbo user. This can be spotted immediately with the GUI, which is a fact that hides the resolution even more from experienced DBAs that don’t use the GUI at all. Windows authentication comes handy most of the times and it offers better protection compared to SQL Server authentication, but sometimes the way SQL Server treats Windows users can be puzzling. Don’t take things for granted and check now if you really understand who has access to your databases: the answer might be very different from what you expect. P.S. If you’re wondering why I placed a comment with a quote after every “EXECUTE AS” statement, it’s just to fix this WordPress wacky syntax highlighter going nuts. Today, thanks to a customer, I discovered one of those annoying little things that can really drive you nuts. Basically, they were trying to restore a backup using the SSMS Restore Database window and they kept getting “No backupset selected to be restored” whenever a backup file was selected. 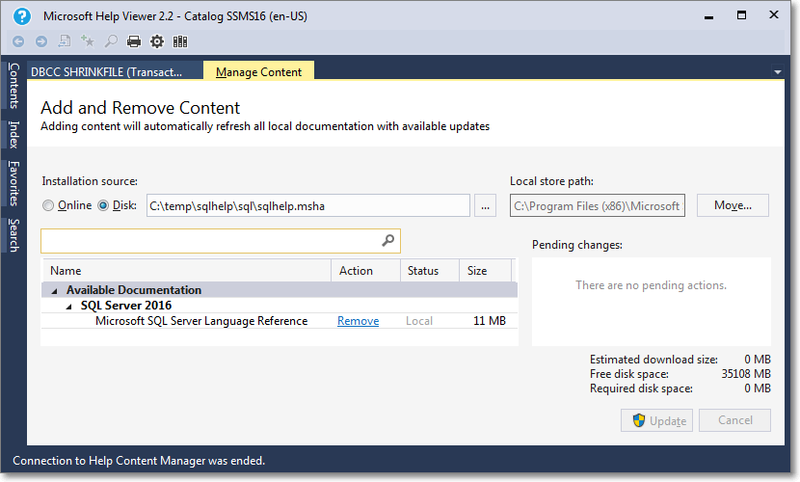 So it had to be something wrong with SSMS, but what? Yep, there’s a leading whitespace in the file name. Could that be the source of the problem? This time everything works as expected. This is a bug in SSMS: go on and vote this Connect item to have it fixed in a future version. 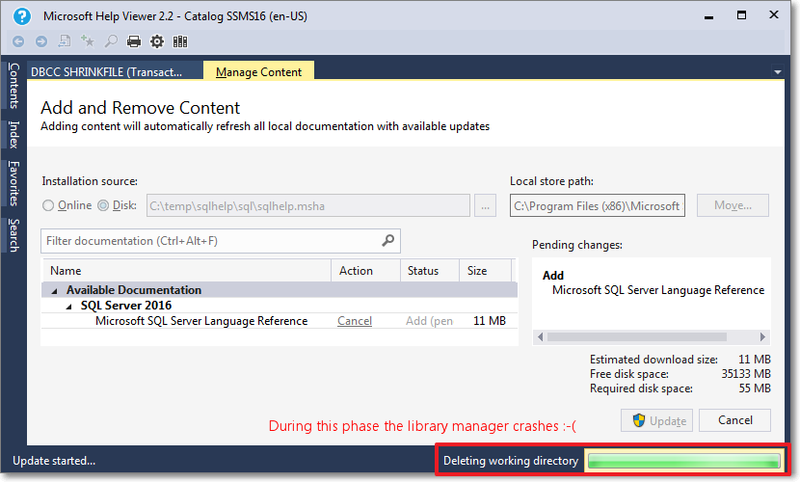 Don’t use the GUI to restore a database. Don’t use the GUI at all. I spent the last few weeks travelling a lot compared to my usual routine and I got quickly fed up with bringing my mobile workstation with me. My Dell precision M4600 is a powerhouse, but it’s definitely too big and too heavy for travelling, so I decided it was time to buy a small laptop just for travelling and presenting at SQL Saturdays and events around Europe. After lots of research, I pulled the trigger on a new XPS13. It’s a very nice, tiny and light machine, beefy enough to run my virtual machines and slim enough to fit in a small bag. So, everything fine? Not quite. The XPS13 2015 sports a stunning QHD touch display, with almost no bezel: a small wonder. The only complaint with it is windows and its (in)ability to scale applications when running at High DPI. At a first glance, it looks ok, but look at those icons on the Object Explorer tree: aren’t they a little bit too small compared to the labels next to them? As you can see, text gets scaled correctly, but the size of the window and some controls are completely wrong. I’m not the first one to discover this kind of issues: Scott Hanselman posted his impressions quite a long time ago, but he offered no solution. There’s also a Connect item that describes this issue, but… ok, you know what I’m about to say. In Windows Vista, you had two possible ways of scaling applications: with the first one (the default) applications were instructed to scale their objects using the scaling factor imposed by the operating system. The results, depending on the quality of the application and the Windows version, could vary a lot. Some scaled correctly, some other look very similar to what we are seeing in SSMS, with some weird-looking GUIs. In Vista, this option was called “XP style DPI scaling”. Then, the application has to be decorated with a manifest file that instructs Windows to disable DPI scaling and enable bitmap scaling, by declaring the application as DPI unaware. The manifest file has to be saved in the same folder as the executable (ssms.exe) and its name must be ssms.exe.manifest. 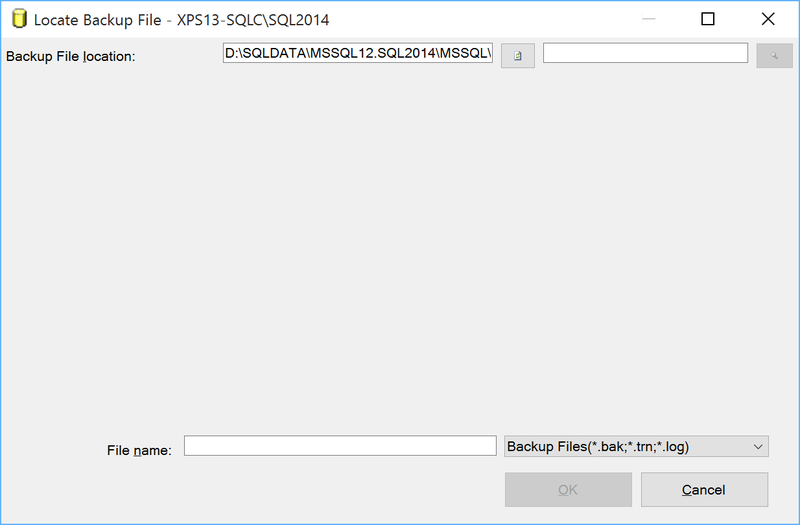 In this case, for SSMS 2014, the file path is “C:\Program Files (x86)\Microsoft SQL Server\120\Tools\Binn\ManagementStudio\Ssms.exe.manifest”. This “Vista style” bitmap scaling is very similar to what Apple is doing on his Retina displays, except that Apple uses a different font rendering algorithm that looks better when scaled up. If you use this technique in Windows, ClearType rendering is performed on the off-screen buffer before upscaling, so the final result might look a bit blurry. The amount of blurriness you will see depends on the scale factor you set in the control panel or in the settings app in Windows 10. Needless to say that exact pixel scaling looks better, so prefer 200% over 225% or 250% scale factors, because there is no such thing as “half pixel”. That’s it: nice and easy. Enjoy your High DPI lifestyle, until Microsoft comes up with a better solution (or a better SSMS). Don’t tell me that you didn’t see it coming: at some point, Developers end up being put to hell by a DBA! I don’t want to enter the DBA/Developer wars, but some sins committed by Developers really deserve a ticket to the SQL Server hell. In particular, some of those sins are perpetrated when not even a single line of code is written yet and they have to do with the way the development environment is set up. Development Environment: this is the place (ideally a dev’s desktop) where the development work is performed. It should resemble the production environment as much as possible. Test Environment (QA): This is where the testers ensure the quality of the application, open bugs and review bug fixes. It should be identical to the production environment (in Heaven it is). User Acceptance Test Environment (UAT): this is where the clients test the quality of third-party applications, request features and file bugs. Staging Environment (Pre-Production): this environment is used to assemble, test and review newer versions of the database before it is moved into production. The hardware mirrors that of the production environment. Production Environment: This is where the real database lives. It can be updated from the staging environment, when available, as well as new functionality and bug fixes release from UAT or staging environment. Using the production environment for development: frankly, I don’t think this sin needs any further explanation. On the other hand, don’t assume that nobody’s doing it, despite we’re in 2015: lots of damned developers’ souls confess this sin while entering the SQL Server hell! Using the test environment for development: Again, this seems so obvious that there should be no need to discuss it: development is development and test is test. The test environment(s) should be used to test the application, not to see it breaking every minute because you changed something. Developing the code and testing it are two different things and, even if you happen to be in charge of both, this is not a good reason to confuse the two tasks. 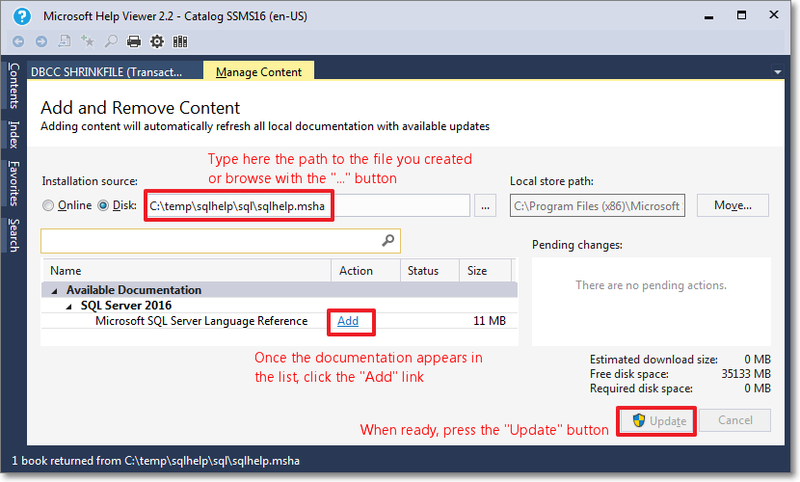 Using a shared instance for development: Back in the old days, when I was working as an ASP classic developer in a software house, we had a shared development environment on a central IIS server, where everyone saved their code on a shared folder and just had to hit F5 in Internet Explorer to see the changes immediately in action. If you think this model is foolish you’re 100% right, but in the 90s’ we didn’t know better. However, while everyone today agrees that it’s a terrible idea for code, you will still find hordes of developers not completely convinced that it’s an equally terrible idea as far as the database is concerned. Having a shared development database greatly simplifies the process of creating a consistent development database, which is a problem only if you have no authoritative source to build it from (which brings us to the next sin). No source control: Nobody in their right mind would start a software project today without using source control, yet source control for the database is still an esoteric topic, despite the plethora of tools to accomplish this task. Granting sysadmin rights to the application: If you’re using a local development instance (and you should), you probably are the administrator of that instance. Hey, nothing wrong with that, unless you use windows authentication in your application. In that case, whenever you debug the application in Visual Studio (or whatever you’re using), the application impersonates you (a sysadmin) when hitting the database, so there is no need to grant any permission in order to let the app perform anything on the instance. So, what happens when you’re done with development and you have to deploy in test (or, worse, production)? Exactly: nothing works, because (hopefully) the application won’t run with sysadmin privileges in production. At that point, extracting the complete lists of permissions needed by the application is an overwhelming task that you could have happily avoided by developing with a non-privileged user in the first place. When using a regular user, each time the application needs additional permissions, you simply have to add a GRANT statement to the deployment script, which also acts as the documentation the DBA will ask for. If you fail to provide this documentation, two things could happen: a) the DBA may refuse to deploy the database b) you could end up needing sysadmin privileges, which means a dedicated instance, which could in turn bring us back to a). Developing on a different version/edition from production: if your application is targeting SQL Server 2008 R2, developing on SQL Server 2012 could mean that you will discover incompatible T-SQL features after development. 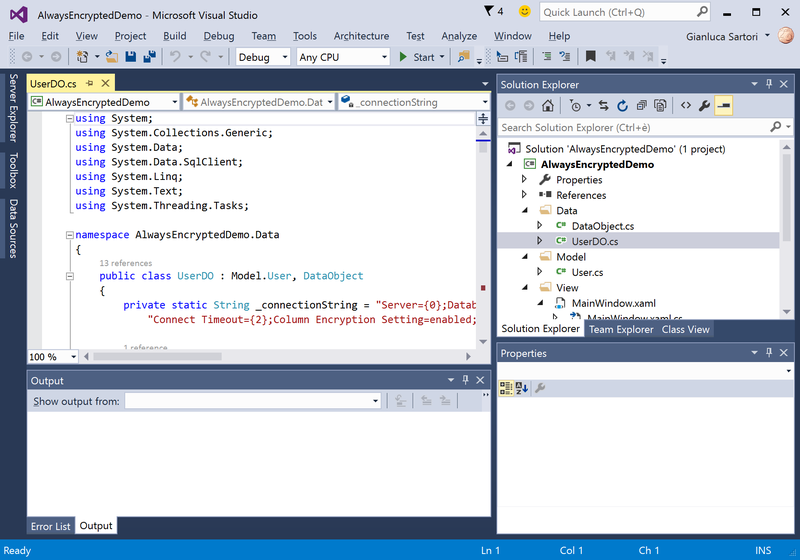 The same can be said for the SQL Server edition: if you are using a Developer Edition for development but you are targeting Standard Edition, you will discover the use of enterprise-only features when it’s too late. You can save yourself all the pain by using in development the same exact SQL Server version and edition you are targeting in production. In the next episodes of SQL Server Infernals I’m afraid I will have to put more developers to hell. If you’re a developer, stay tuned to find out if your soul is a at risk! If you’re a DBA, stay tuned to enjoy seeing more developers damned!